Carrie Allison is an Indigenous mixed-race visual artist born and raised in unceded and unsurrendered Coast Salish Territory (Vancouver, BC). Situated in K’jipuktuk (Halifax) since 2010, Carrie’s practice responds to her maternal Cree and Metis ancestry, thinking through intergenerational cultural loss and acts of resilience, resistance, and activism, while also thinking through notions of stewardship, kinship and visiting. Carrie’s practice is rooted in research and pedagogical discourses. Her work seeks to reclaim, remember, recreate and celebrate her ancestry through visual discourses. Carrie holds a Masters in Fine Art, a Bachelor in Art History, and a Bachelor in Fine Art from NSCAD University. Carrie is participating in Eyelevel’s Y-Level Emerging Artist Residency, a program designed to support emerging artists in a self-directed residency period followed by an exhibition. This year’s residency is presented in partnership with the Nova Scotia Museum of Natural History. Throughout the residency, Carrie will be exploring the aesthetics of Mi’kmaq quill and beadwork at the Nova Scotia Museum of Natural History, as well as looking at Mi’kma’ki’s indigenous and endangered plants. She is also interested in exploring power structures within knowledge institutions and critiquing and expanding museological practices to engage with notions of the future of the museum. 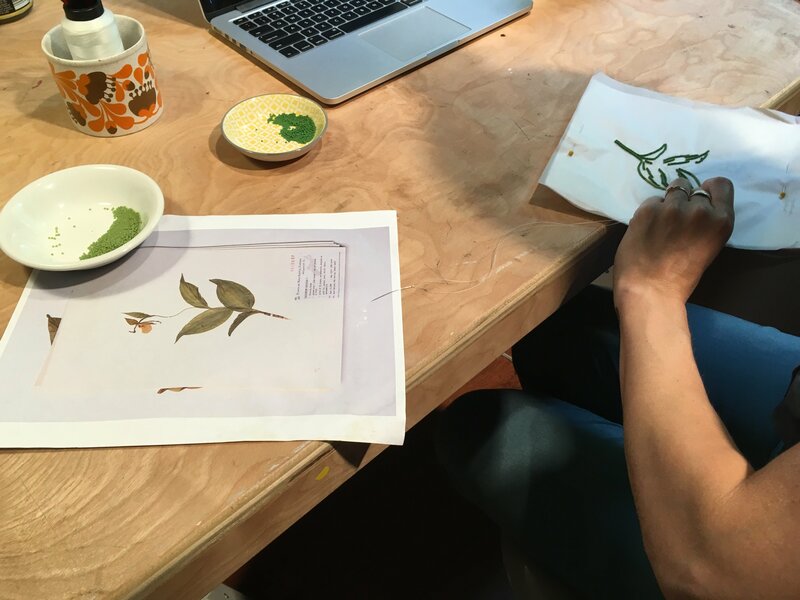 Carrie began researching collections at the Nova Scotia Museum of Natural History in June, and has been working at Eyelevel to produce work in response to her findings, which consists of beading botanical materials gathered through the research. During the residency, multiple community engagement based events will occur in relation to the research and work. Carrie will also be working on the ongoing Shubenacadie River Beading Project, the first project orchestrated by Kin River Collective. A community collaborative project meant to activate notions of kinship, allyship, and stewardship; it is an act of solidarity with the Stop Alton Gas water protectors. This project asks for community engagement by teaching and helping bead sections of the Shubenacadie River. The residency will culminate with a solo exhibition at the Nova Scotia Museum of Natural History from 6 October, 2018 to 6 January, 2019. Carrie will be offering open studio hours from 20 August - 24 August 2018. The studio is located at Eyelevel, 5663 Cornwallis St. Unit 100, Halifax, NS. Studio Hours: 12pm to 2pm.